The Chan Zuckerberg Initiative is supporting the Tides Foundation’s Bring Learning Home Initiative so that more students can have access to high-quality learning resources. Bring Learning Home is an innovative new initiative from the Tides Foundation that provides effective digital education resources to young learners, with a focus on low-income families, with the goal of closing the access and achievement gaps in education. 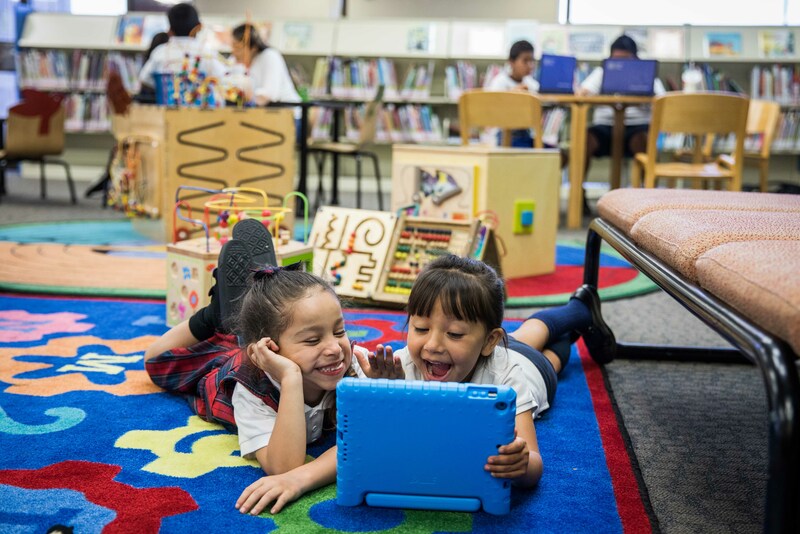 Through this partnership, thousands of Bay Area families are able to check out ABCmouse Early Learning Academy accounts from their local library for use at home to increase school readiness and reading proficiency. Families get access to all 10,000+ ABCmouse learning activities (with hundreds available in offline mode), assessment tools, and adaptive and personalized learning games. Age of Learning’s ABCmouse is a research-validated digital learning program for children ages 2–8+ that helps children and their families build on classroom instruction at home across key academic subject areas. Researchers have conducted multiple rigorous large scale independent studies. This body of research shows that ABCmouse can drive significant gains in early literacy and math skills. Thus far, 2,000 children in the Bay Area have accessed ABCmouse through this program. These children have completed over 220,000 learning activities and averaged 15 activities per week. Importantly, research has shown that similar levels of ABCmouse usage helps prevent summer slide in reading and significantly increases academic growth in literacy and math. But not every family has access to the internet at home to fully take advantage of resources like ABCmouse. As East Palo Alto librarian Adina shared, “There’s a digital divide where while people may have a smartphone, they don’t necessarily have access to internet at home.” To help address this concern, the expansion supports three library locations– East Palo Alto Library, Belle Haven Library, and Fair Oaks Library– to provide tablets with mobile broadband for patrons to check out with ABCmouse accounts. The Bring Learning Home Initiative also provides librarian training, family outreach services, and physical books at each branch – ensuring parents and children have access to a range of learning tools in formats that meet their needs. When so much brain development happens at a young age, it’s important to get it right from the beginning. We are proud to support Bring Learning Home to ensure more children have access to the learning programs that will help set them up for a lifetime of success. The Chan Zuckerberg Initiative is an investor in Age of Learning.